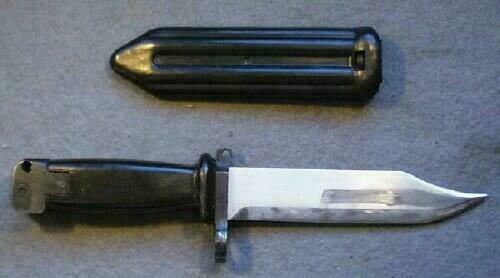 Along with 3 magazines, another included accessory in the box was a bayonet. There were 4 different types of bayonets imported. would most surely load up on accessories to go along with it. The least encountered type. 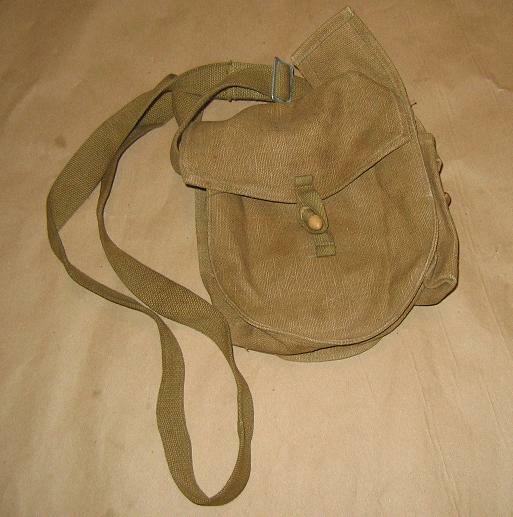 This type is very rare, patterned after the European shoulder pouches this type held 5 magazine, oil bottle, and cleaning kit. 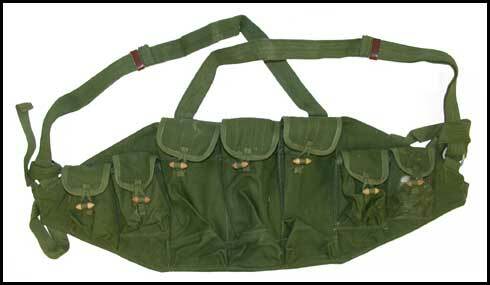 There is also loops on the reverse side for belt attachment. The standard "red" and "black" bayonets. 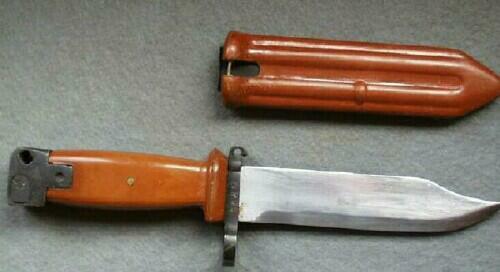 These are pretty much the most common encountered bayonets. Pictured below is the most rare. It is a Chinese manufactured "wire cutter" type. The fourth variant is pictured below. 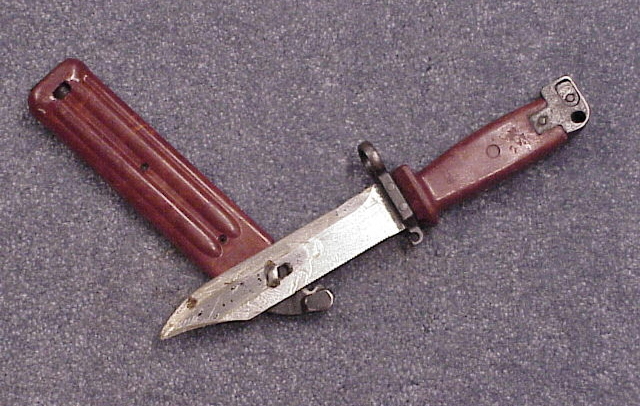 It is a copy of the Russian Type I bayonet, and was supplied with Poly Tech Legends, and some Poly Tech stamped rifles. Yet another type, was more intended for the SKS, but popular with the AK crowd as well. This type held stripper clips. 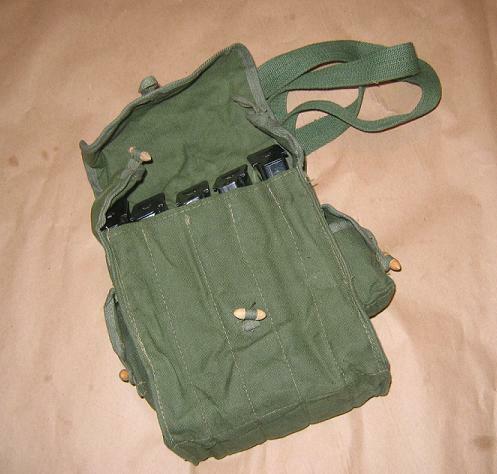 Another popular type accessory was the chest, magazine pouches.